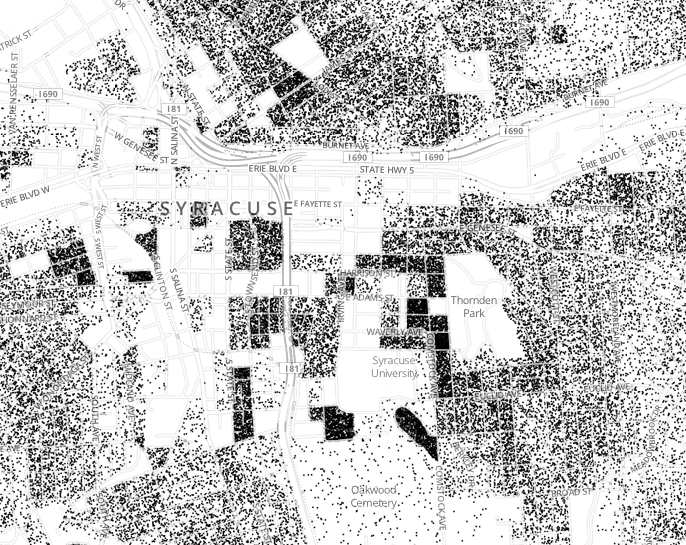 Visualizing Public Information Can Be Life-Threatening? Great new interactive map created by Brandon M. Anderson at the MIT Media Lab. Check it out here. 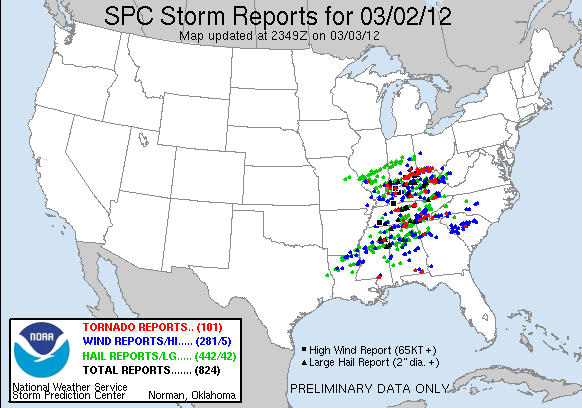 March 2 seems very early for the rash of deadly tornadoes that hit the Midwest and South yesterday. Having spent most of my life in the South, I know the fear inspired by the tornado sirens and feel the pain of those who lose everything in the blink of an eye. I used to comfort myself by saying that I did not know anyone who had experienced a tornado firsthand, thinking that meant that the probability of encountering one myself would be extremely low. That changed when I lived in Georgia and found myself comforting co-workers after their homes were damaged by a twister. Luckily, though, property damage was the extent of their difficulties. Still, too close for comfort. When there are reports of tornadoes hitting several different states as there were yesterday, I find myself wanting to see a map. Where is Henryville, Indiana? And what parts of Alabama, Ohio, and Kentucky were hit? Having searched with no luck to find yesterday’s storm tracks mapped, I contacted a friend with the National Weather Service. I was told that such maps only become available after NWS survey teams complete the field verification of all potential tornado tracks, which can take several days, but that a preliminary map would be available on the Storm Prediction Center website. The site has interesting maps, like the ones below, and also a downloadable GIS shapefiles on the Severe Weather GIS page. As the nation responds to this new round of catastrophes and our sympathies turn to those in need, we can also appreciate the efforts to study and understand this destructive phenomena. Place names on USGS topographic quadrangles offer insights into local history, but I rarely see anyone making use of the information contained in the names. This map is an exception. I missed this last fall when it apparently made the blog rounds, but here it is in case you missed it too. 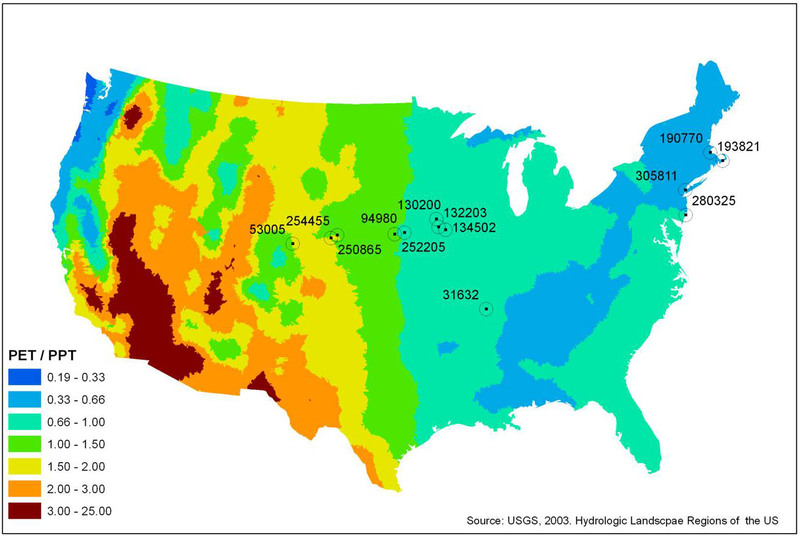 Read more about this map on Derek Watkins blog. The SENSEable City Laboratory at MIT has produced some interesting maps using US and UK phone call and text data, and they suggest new ways to think about regional identity. 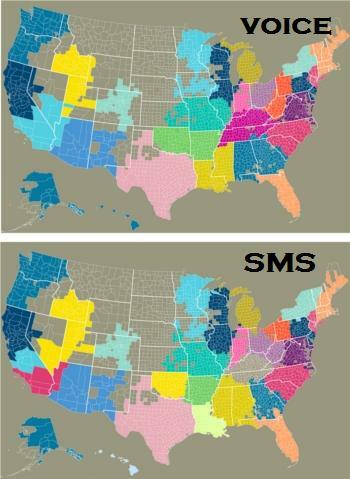 Aaron Saenz, of the technology blog Singularity Hub, asks if these regions make more sense than our current delineation of states. 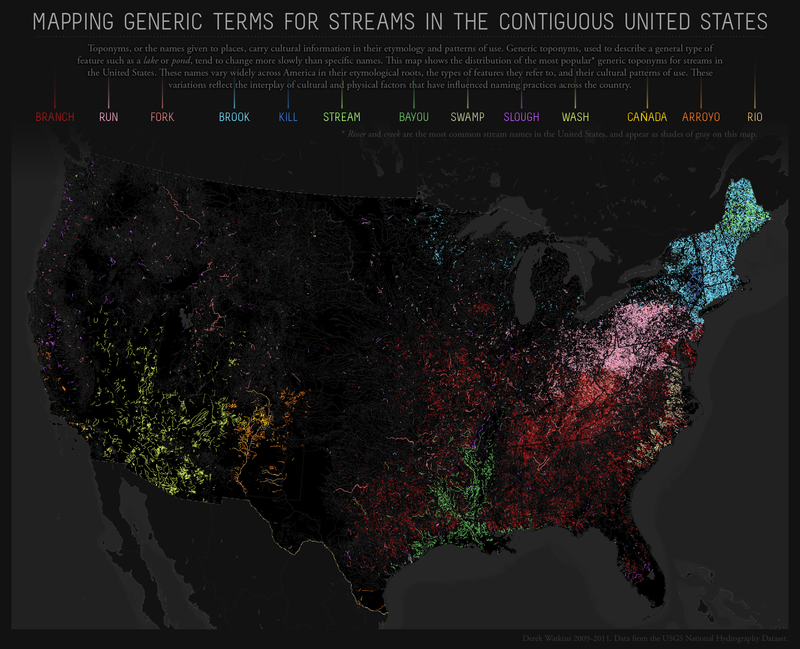 Certainly for politics, marketing, and perhaps public policy, among other things, there are implications for the kinds of connections that these maps reveal. Best of all, the SENSEable City Lab is making their call and SMS data available here for you to make your own visualizations!